4/5 My son is in class 1 and will be completing 1 year in April 2017 at Noble High. The student to teacher ratio at Noble High is very good and I can see the impact of the extra attention that my son gets in his overall development. The teachers don't just focus on academics but help in the child's all round development. There is a lot of emphasis on reading and sports which I feel has brought about positive changes in my child. Though it's still early days, I thing my child's development is in the positive direction. One thing lacking is the availability out door sports facilities, which I feel would be crucial, specially for students in higher classes and that is one aspect that the school needs to look at as it grows. 2/5 Academics are ok with limited co-corricular activities are equally good. Teachers change frequently. The school is part of mother's pride/presidium. The group was considering closing the lower cost Noble High School last year in favor of their more premium Presidium Schools, though it did not finally go through. 3/5 Location wise school is in a great place and so is the staff. They have all experienced faculty and is really important for a child. The fee structure is pretty affordable as compared to the other schools. Noble High School, Sector 57 is a school in Gurgaon offering CBSE for Pre-Nursery, Nursery, Kindergarden, Primary School, Middle School and High School level students. The school was founded in 2015 as a Private Co-Educational school. The school is located Sector 57. Neeti and 9 other people have rated this school. 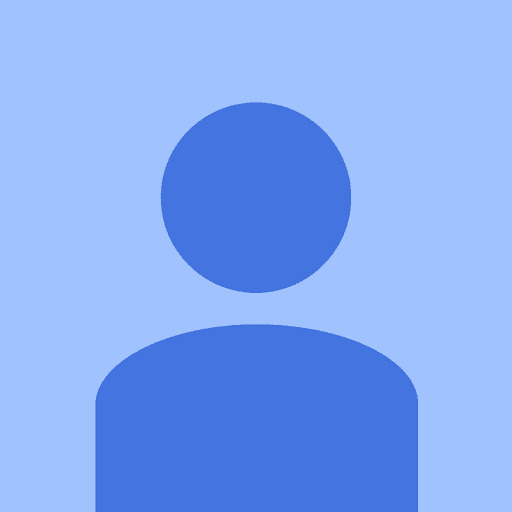 This school was last reviewed on 25 Sep 2018 and first reviewed on 19 Mar 2016 at SchoolWiser. The overall experience with Noble High School, Sector 57 based on the ratings left by users so far seems to be fair but the sample size of the ratings is insignificant. The ratings suggest that the school offers a lot in terms of the Principal's Leadership. It also scores reasonably on Safety and Hygiene, Instructor’s Competence & Classrooms. Though parents may seem to have some reservation over Food. Checkout detailed ratings and reviews below for reference but do exercise your best judgement. 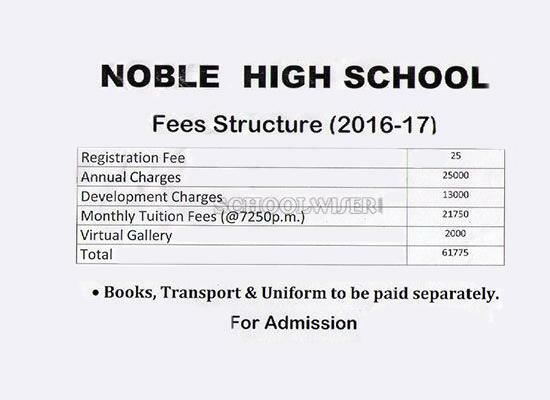 A detailed fee structure & complete breakup for Noble High School, Sector 57 is provided below for reference. The objective of the fees details below is to provide an economic reference point for parents to understand approximate expense for this school and evaluate affordability based on their current circumstances and for the long term. For parents admitting their children in admission session 2016-2017 at The school the total school fees for the first year including all admission related charges for KG but excluding transport fees shall be around Rs.1,27,025. This includes total One-Time Admission related Charges of Rs.25. For parents continuing in the school from previous years, the effective annual fees is around Rs.1,27,000 i.e. approx. Rs.10,583 per month or Rs.31,750 per quarter without transport fees.